These are interactive display units (floor and table top) we designed for Augmented Reality driven books. 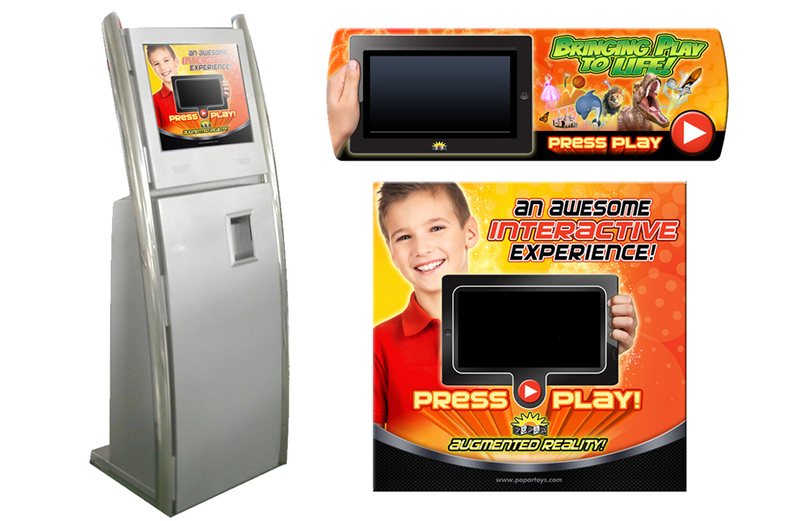 There is a monitor in the center that gives the viewer a sampling of the experience. We also did the photoshoot with the kid models. 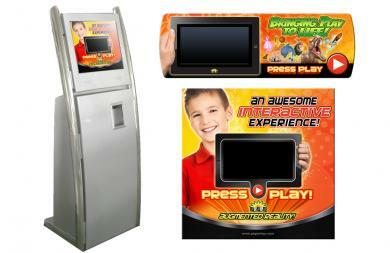 Interactive display kiosk for augmented reality experience sampling. In store display units for loyalty program at supermarkets. 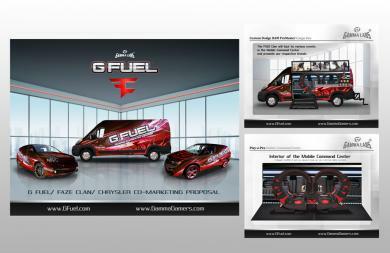 The top are 3D renderings and banners and the bottom shows the displays in the store. 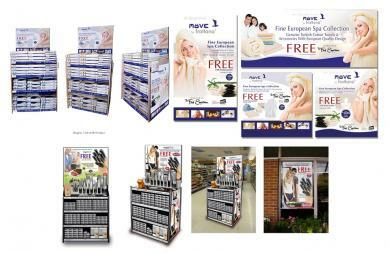 We designed an end cap display unit for retail stores to showcase a new beauty product. 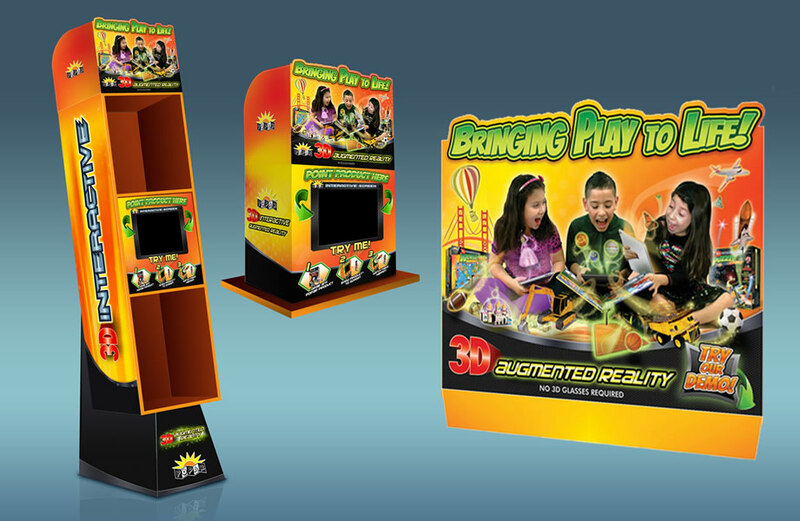 3D rendering was created. 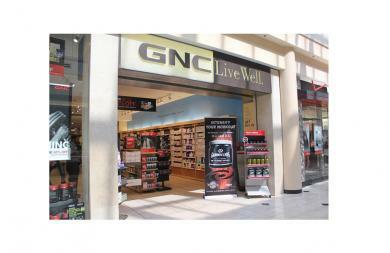 We designed a series of promotional displays for GNC stores nationwide. We designed an interactive mobile gaming truck including custom chairs and monitors for a co-marketing venture with GFuel and Chrysler. We also designed vehicle wraps to coincide with the campaign. 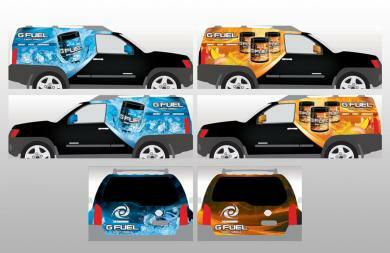 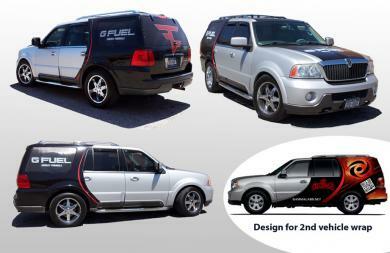 We designed vehicle wraps to feature new GFuel flavors. 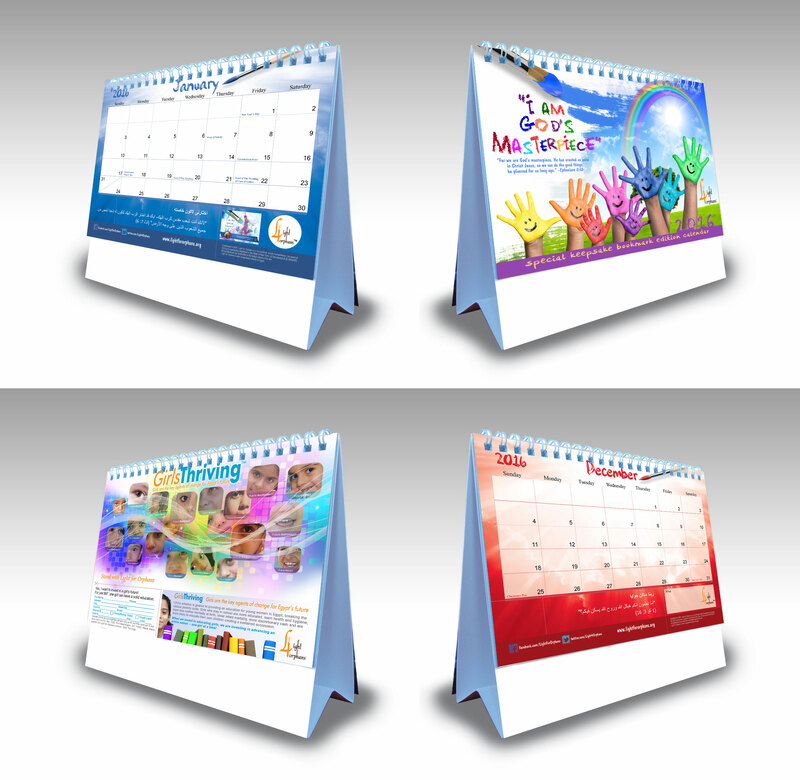 We also designed the product's packaging as well. We designed a vehicle wrap to commemorate the partnership of GFuel and the Faze Clan gaming team. 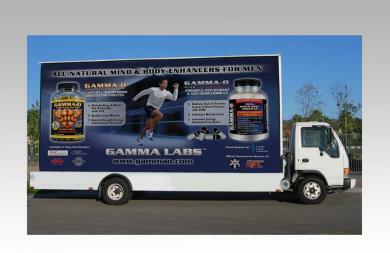 We designed billboards featuring testosterone boosters. 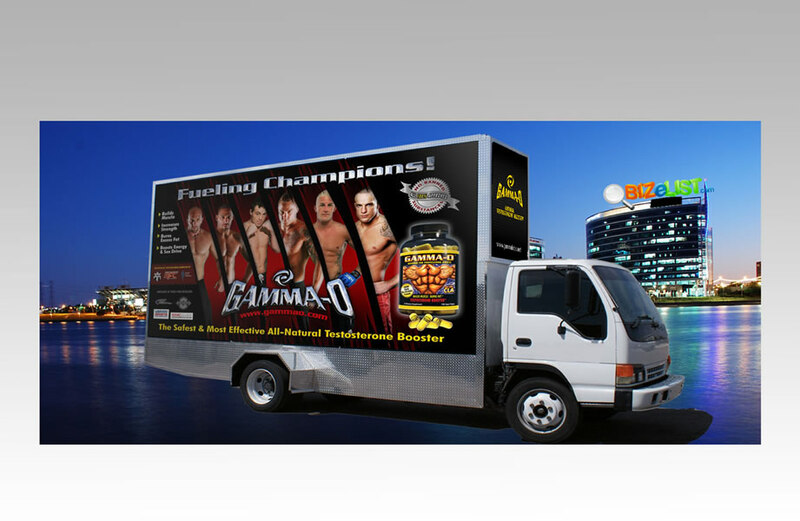 These were attached to trucks and driven around outside of trade shows. 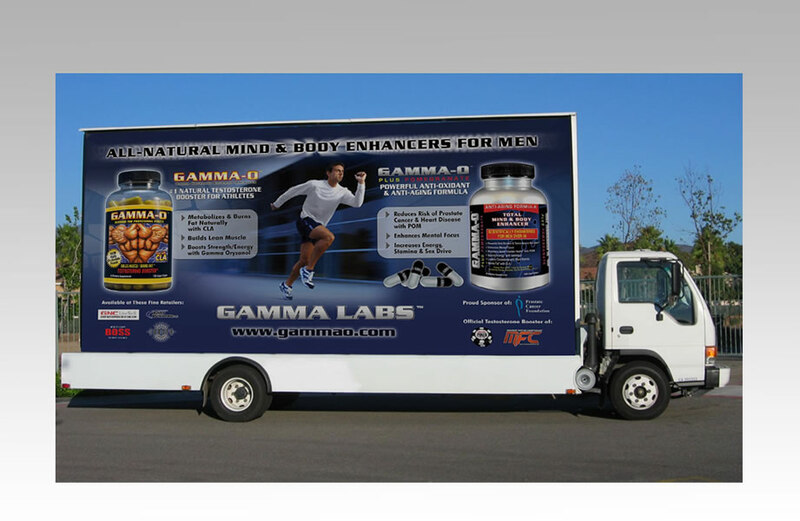 We designed billboards featuring celebrity MMA fighters who sponsored Gamma Lab's products. 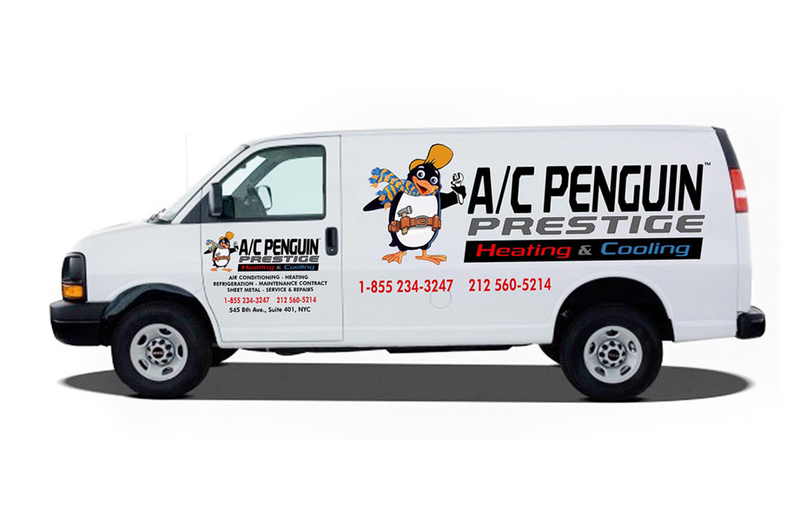 We designed the logo, mascot and truck wraps for the fleet of vehicles of AC Penguin air conditioning and heating company. 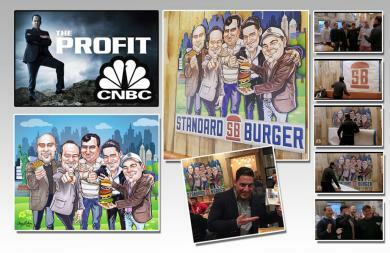 We partnered with CNBC's TV show The Profit to rebrand an existing hamburger chain with various marketing pieces. 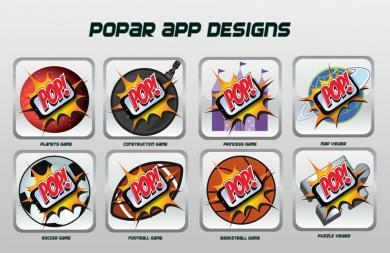 We designed a series of APP icons for augmented reality games. 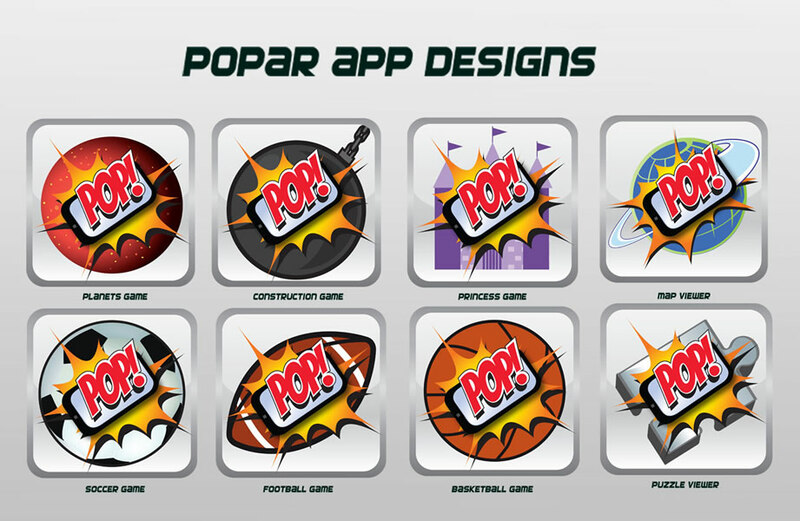 These were featured on GooglePlay and AppStore. 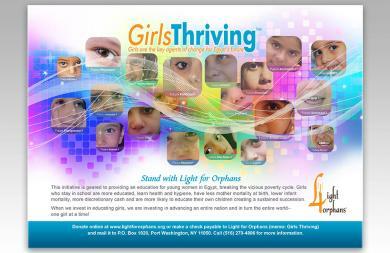 Back Cover design for Light for Orphan's 2016 Calendar featuring their successful campaign: "Girls Thriving". 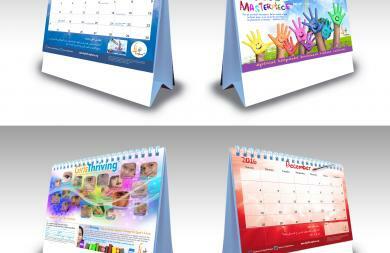 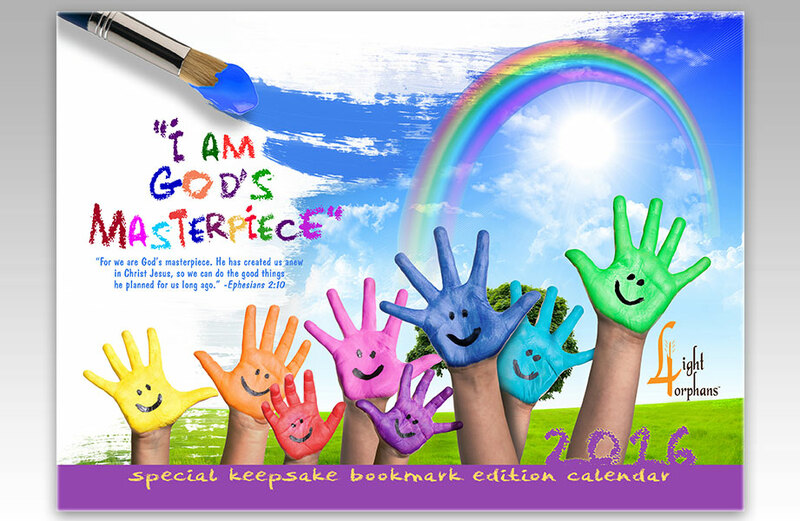 Mock Ups of Light for Orphan's 2016 Calendar.